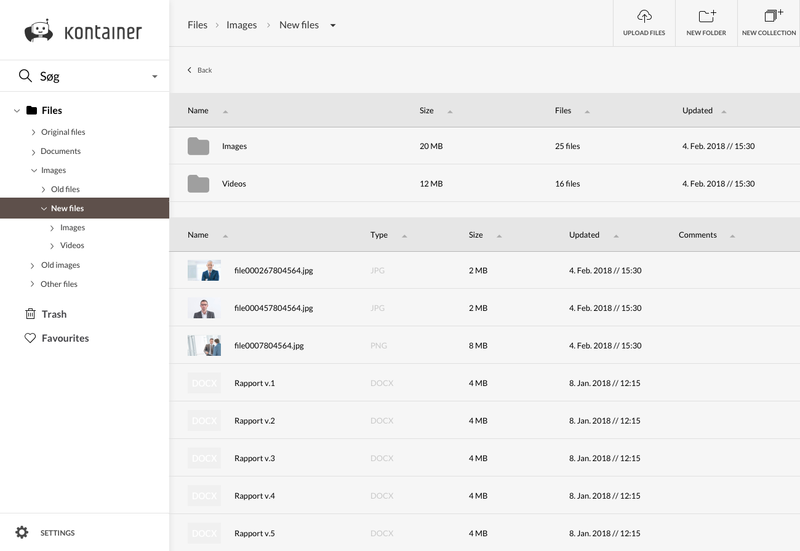 Kontainer is the ideal tool for the financial and insurance sector, whatever it concerns internal filing and documentation, or is used as a tool for both internal and external work in your marketing and communications department. With Kontainer, you can share, archive and organize your photos, videos and large files securely. 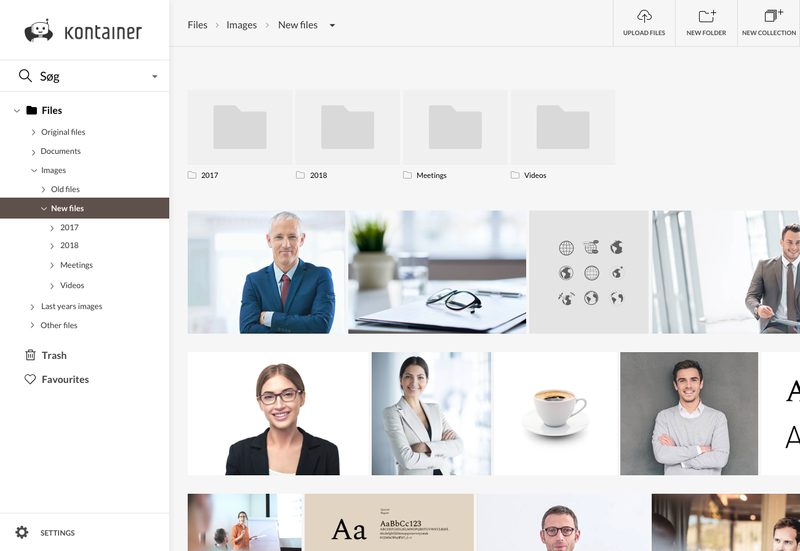 Kontainer is a password-protected digital asset management system, also known as a DAM system, which, with its advanced user and rights management, enables you to always have control over who has access to which files in your company. 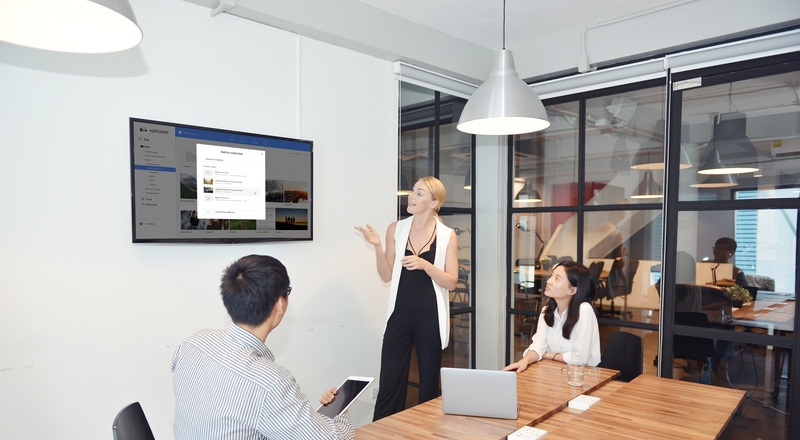 In addition to rights management, you have the ability to track statistics of where, when and in which context your images and files are used. This ensures that you always have an overview of the history of each file.